Oriola doesn’t want Shane Larkin to run rampant against them again. 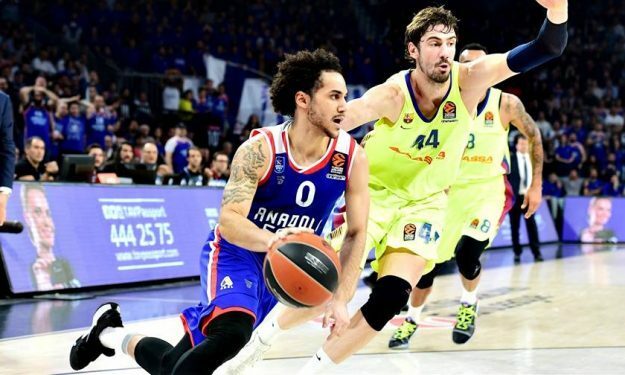 Anadolu Efes guard Shane Larkin registered the top scoring performance in EuroLeague since 2014 when he dropped 37 points to lead his team to a home win over Barcelona back on March 8. It was a decisive victory in Efes clinching the fourth seed and homecourt advantage in the playoffs. The two teams are now facing each other in the EuroLeague quarterfinals and Barcelona forward/center Pierre Oriola doesn’t want to see Larkin putting on another offensive show against his squad. Barcelona is returning to the playoffs after a two-year absence. The Blaugrana completed the regular season as the second-best defensive team behind top-seeded Fenerbahce Beko after forcing their opponents to just 76.37 points per game. “Our trademark throughout the season has been defense. We have one of the best defenses in the Spanish league and we’ve been like that in many matches in EuroLeague. That allowed us to finish fifth,” Oriola mentioned.